When life is in disarray, travel! Which is what I’ve been doing nonstop for a month and a half, and more. 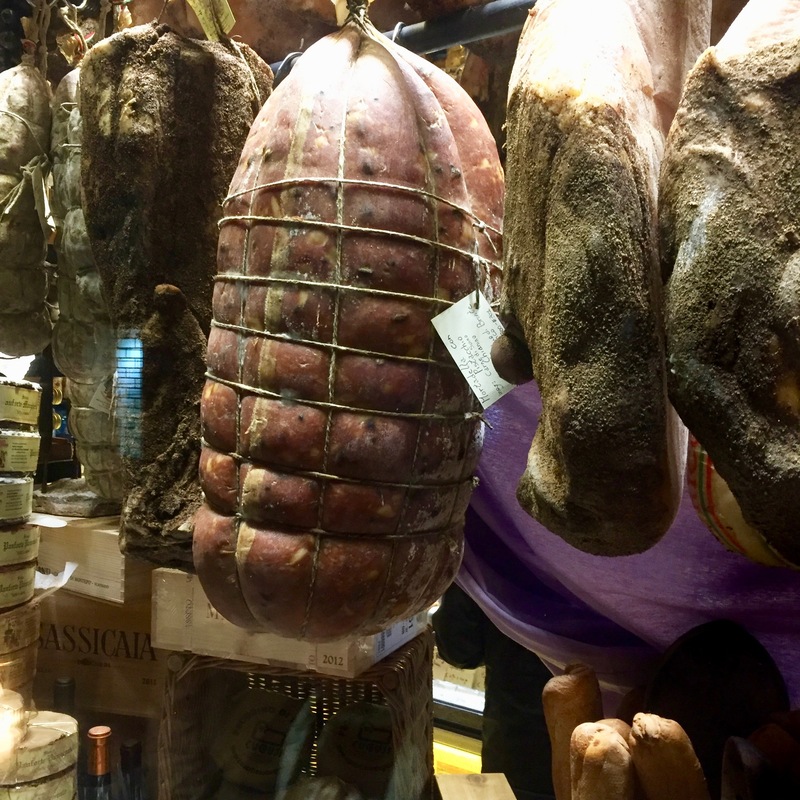 The above is a salumi maker from Norcia, a town famed for its butchers and recently devastated by an earthquake. Happily he found a place in Rome to sell his goods. 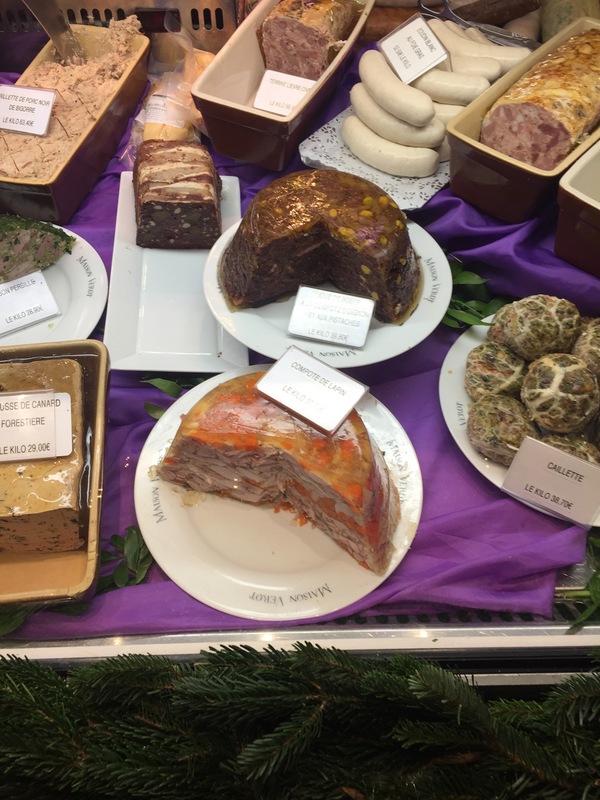 I have neglected my pledge to spend more time on this blog, but herewith is the reason why, a sort of photo essay of the lands and pigs and pork and salumi and chefs from the past six weeks. 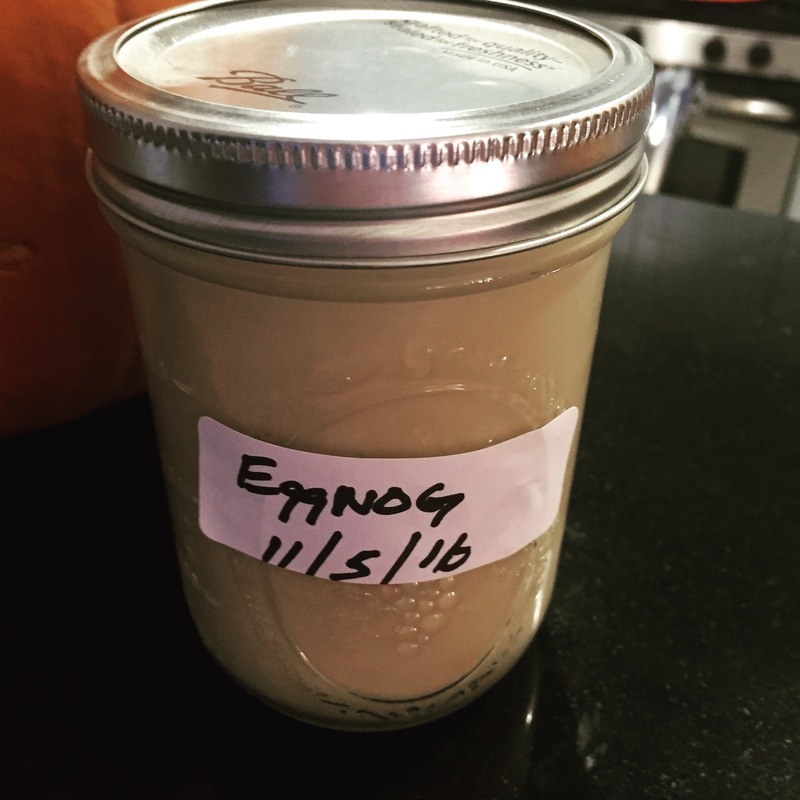 It began in Rhode Island, little old Rhode Island, where I made some mandatory holiday aged eggnog. 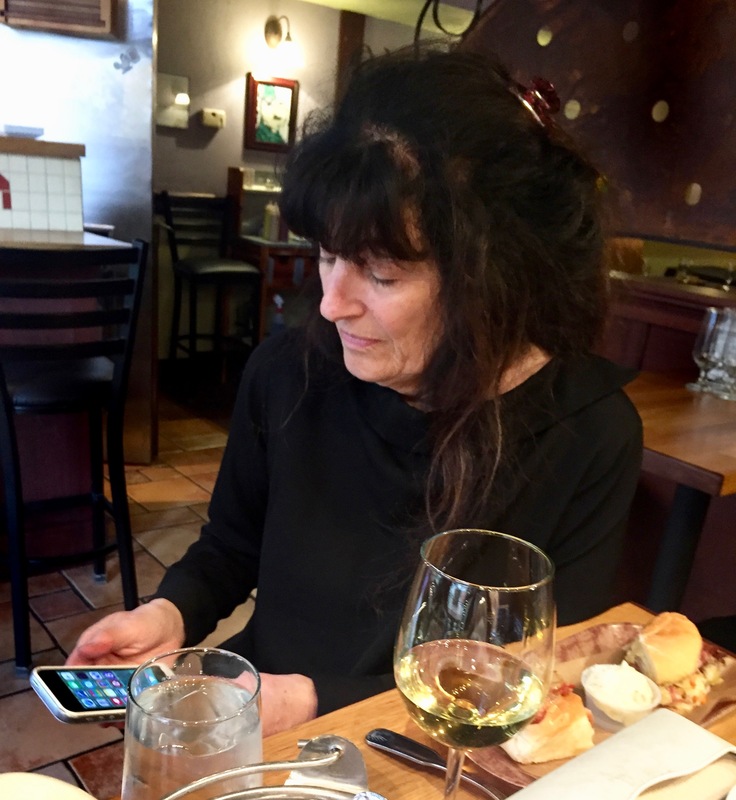 I was there to do a reading with Ruth Reichl at Matt and Kristin Jenkins lovely Chez Pascal, sponsored by Goat Hill, an organization like Boston’s Grub Street that aims to bring writer events and workshops to the area for local writers. Ruth loved the sausages more than her iPhone, appearances notwithstanding. And during her talk, she noted how, during the entire season of presidential debates, food was never discussed. Food remember is kind of the one thing that we need to survive, many don’t have enough of it, the future of food is uncertain, and yet we instead focused on Hilary’s emails, and the Donald’s locker room inelegance. 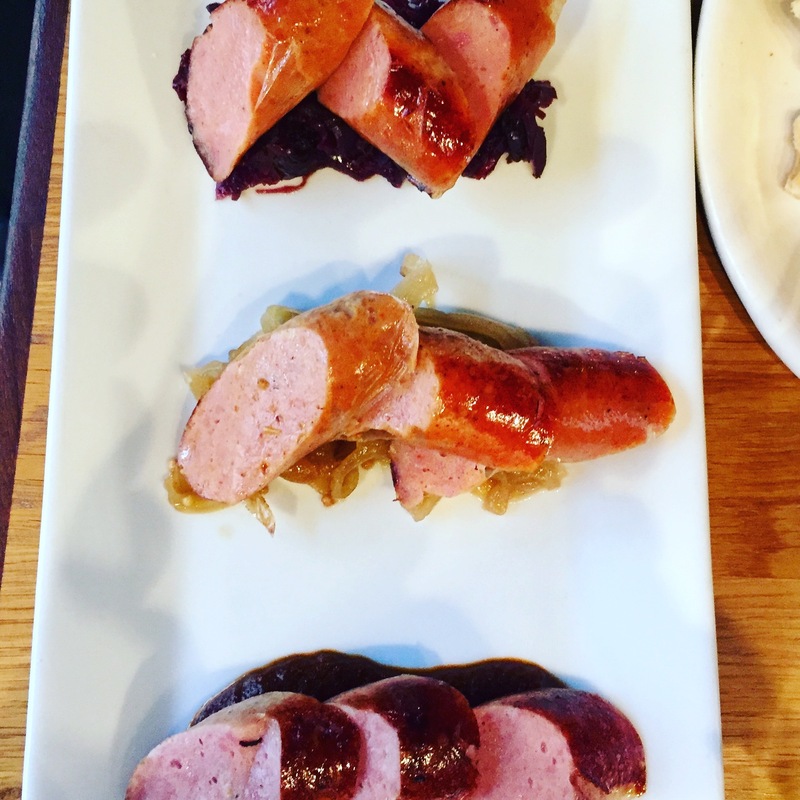 Great sausages by chef Matt, especially loved the kielbasa and hotdog! 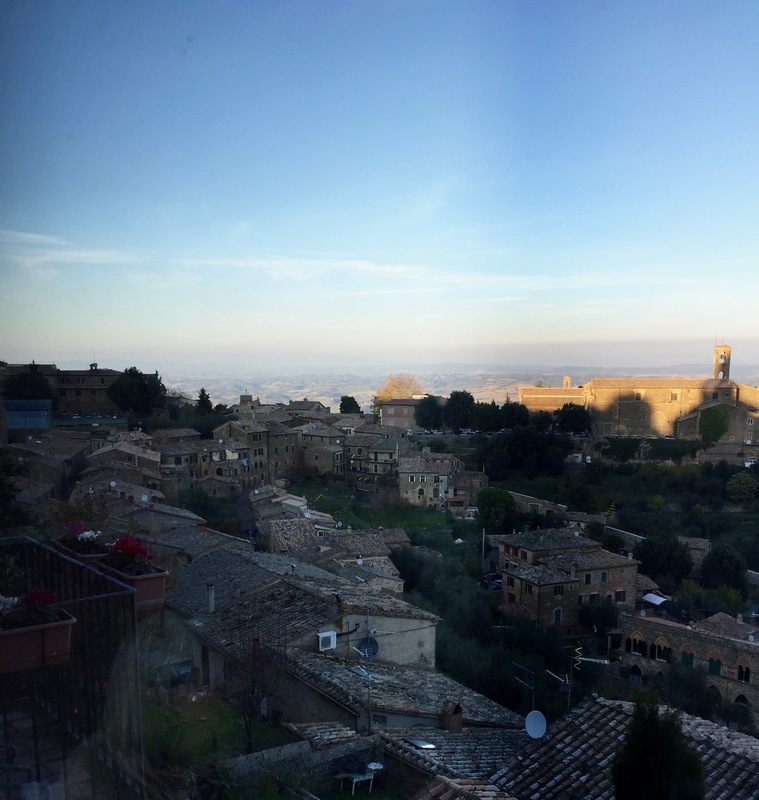 Two days later (on election eve) I was on a plane to Rome, see above salumi, and on to the amazing Spannocchia, an eco-tourism millennia-old farm, for a great annual writer’s conference run by novelist and essayist Ann Hood. I was honored to be with such writers as Stewart O’Nan, Laura Lippman, and Bill Roorbach. 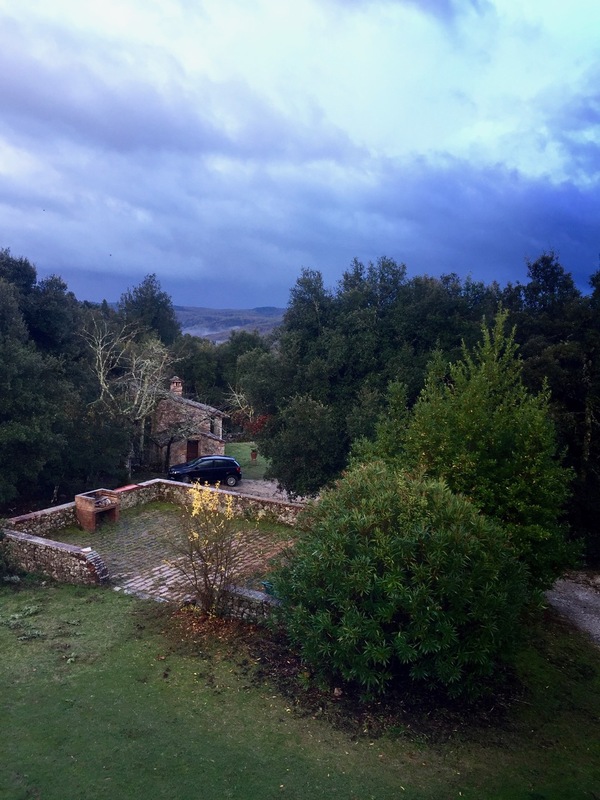 (Advance notice to writers interested in attending next year: this is typically a weeklong event devoted to fiction and non-fiction, that will expand next year to include a week of food and travel writing, November 3-17, along with food forays around Tuscany). The view from the house I stayed in there. The cooks who prepared our daily meals. The pigs! 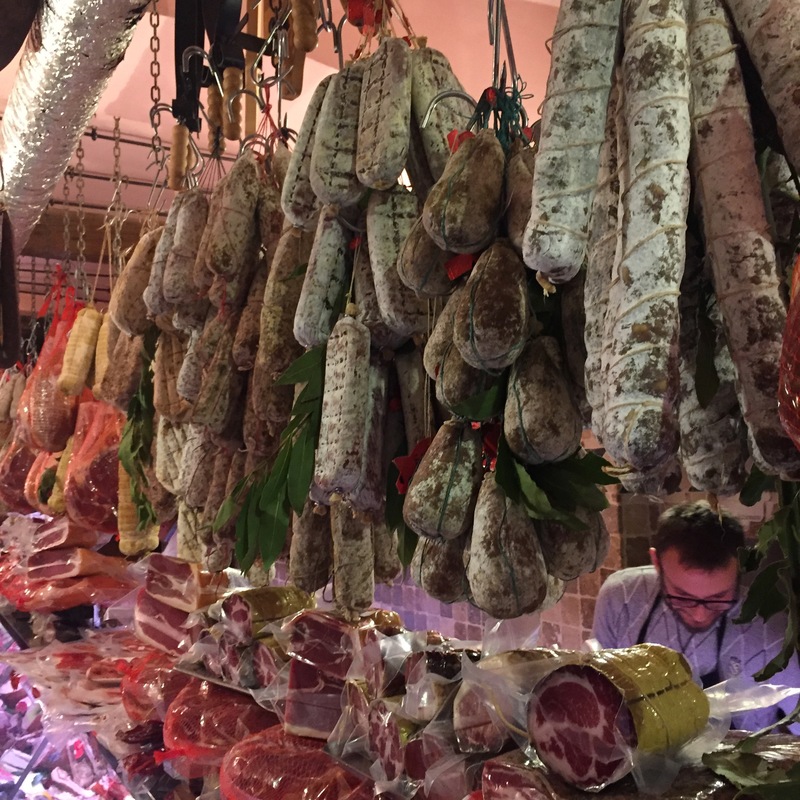 Spannocchia has an amazing farming and butchery internship all year round. 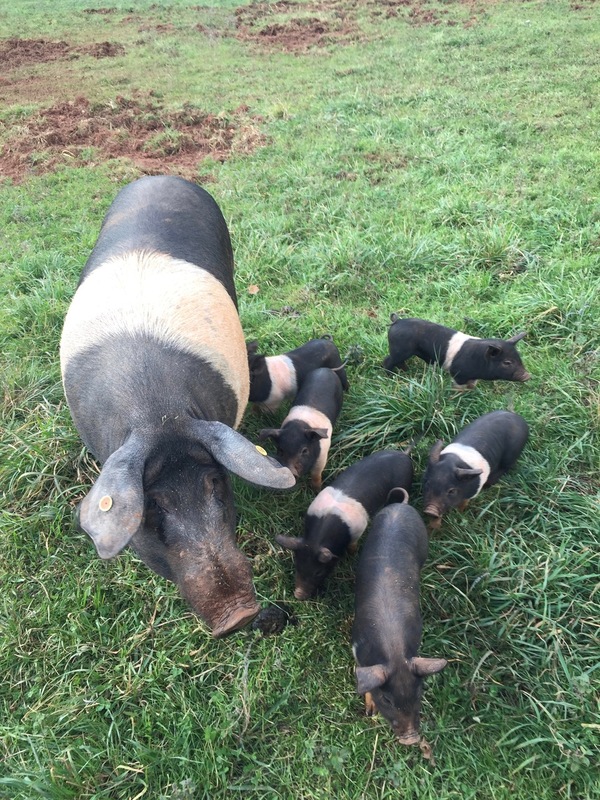 And they raise their own Cinte Sienese pigs for a great salumi program. 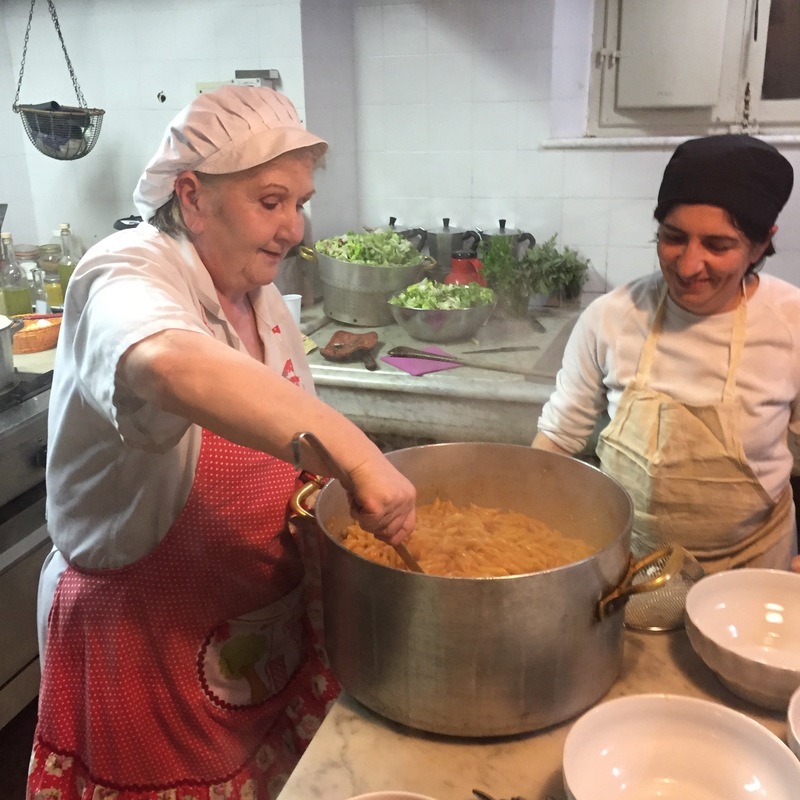 They make their own grappa, and olive oil and, well, if you’re just out of college or simply wanting to explore this kind of work, learning farming and animal husbandry and butchery and living in Italy for a few months, have a look at their internship program. It’s fabulous. One of the seemingly thousands of towns in this extraordinary region of the world (another day trip). 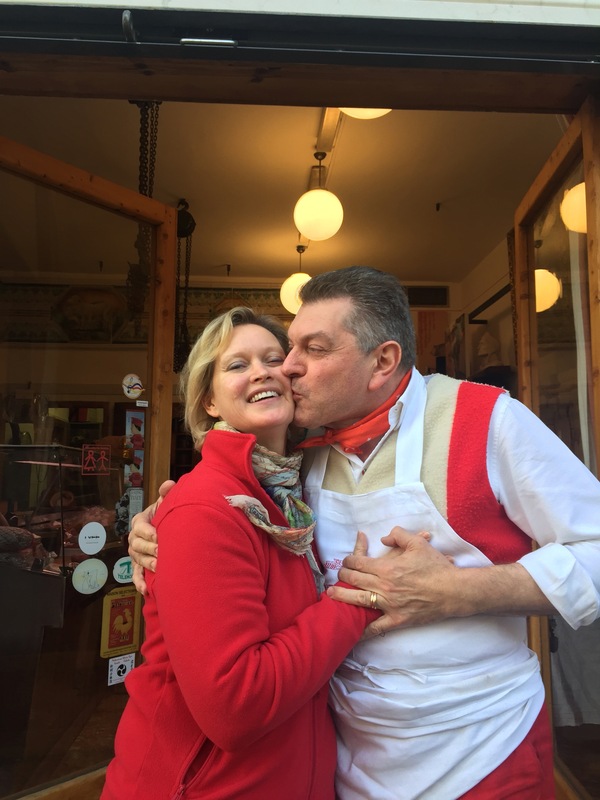 We were able to steal away for the day to the town of Panzano, in the Chianti region (breathtaking vistas at every hairpin turn), to meet Dario (and his wife Kim) the butcher made famous in Bill Buford’s excellent book Heat. Alas, Italy was over too soon. As it always is, I suppose. 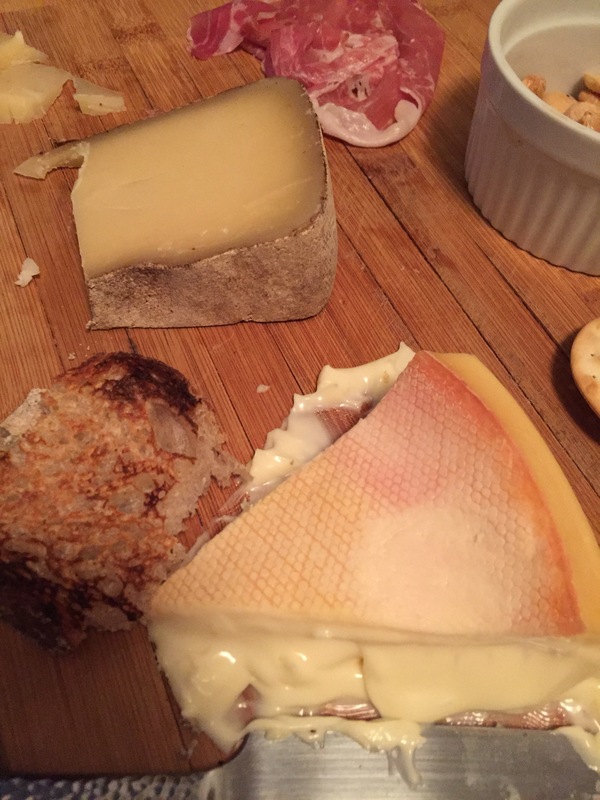 So I improvised with some Stinking Bishop cheese and prosciutto from Murray’s Cheese in Greenwich Village. 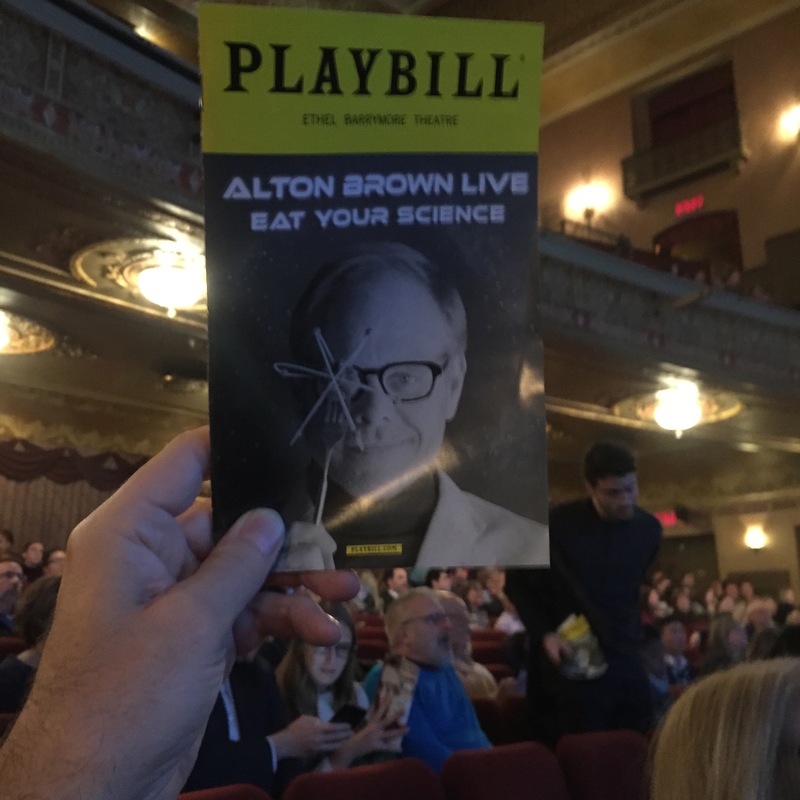 Was able to see the mischievous and brilliant Alton Brown on Broadway. 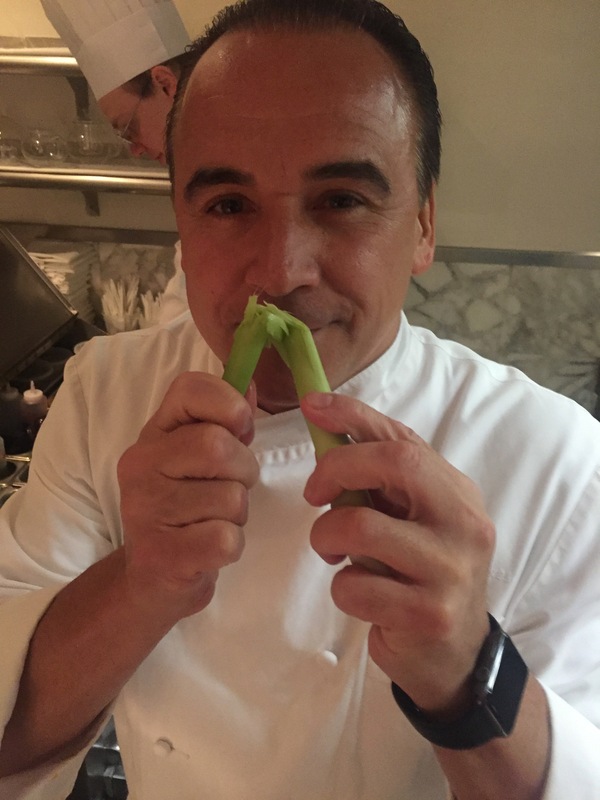 “Lemongras is my favorite ingredient!” JG announces on cracking some open and filling the kitchen with its perfume. 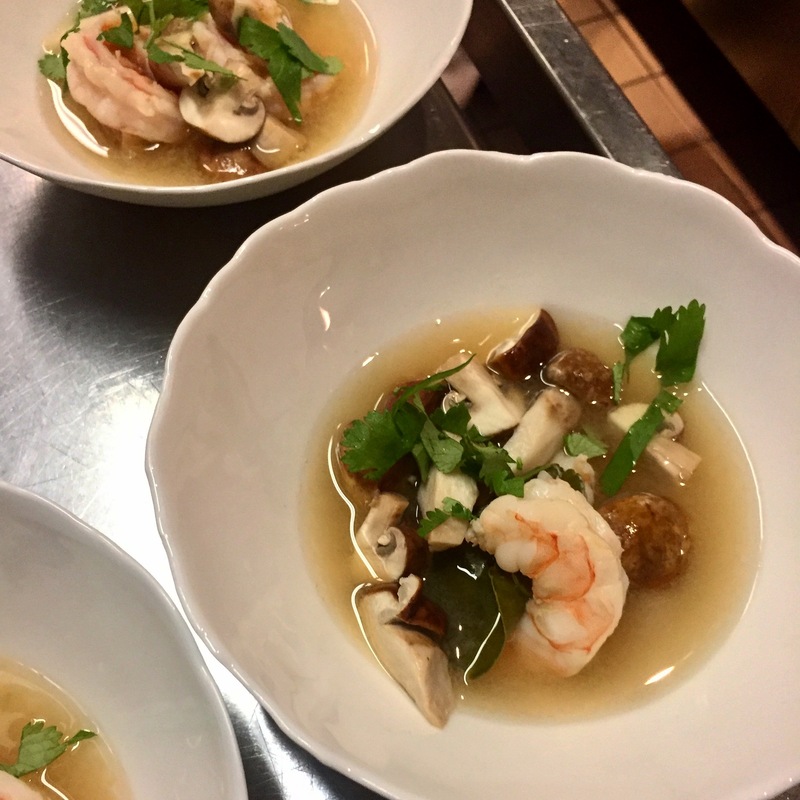 I asked him to make the Thai soup tom yum kung, which he did, so simple, and so amazing, and so important to his career. 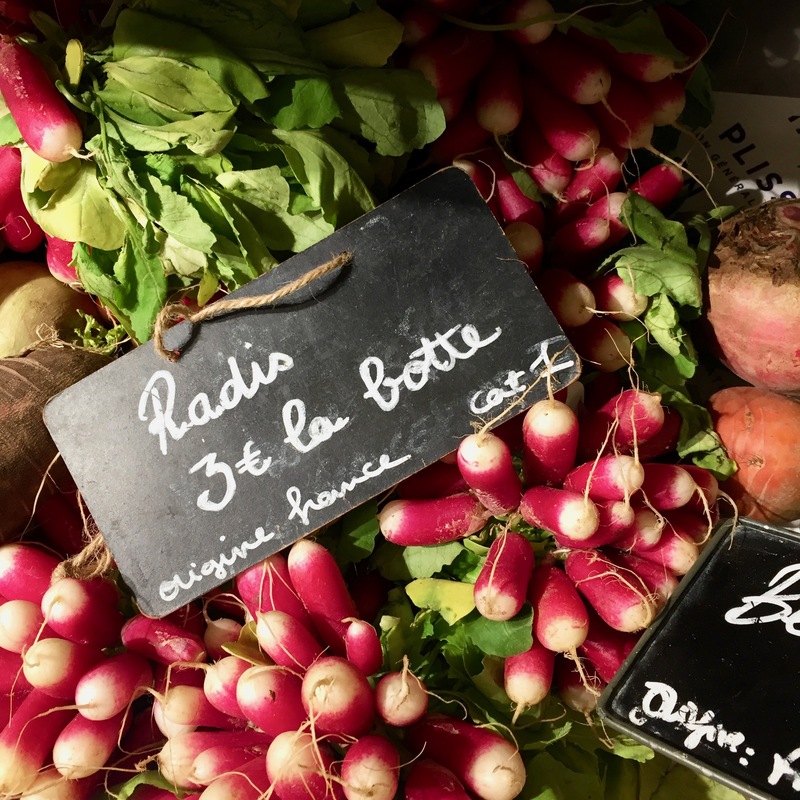 But I was only back from Italy a week before Brian Polcyn coaxed me to Paris to research pates for a forthcoming book. I made him take me to L’Ami Louis, the best bistro in Paris (albeit with Michelin-star prices) for amazing foie gras and wine. And Bresse chicken. Then on to a great charcuterie. All of the above are from the extraordinary Gilles Verot. 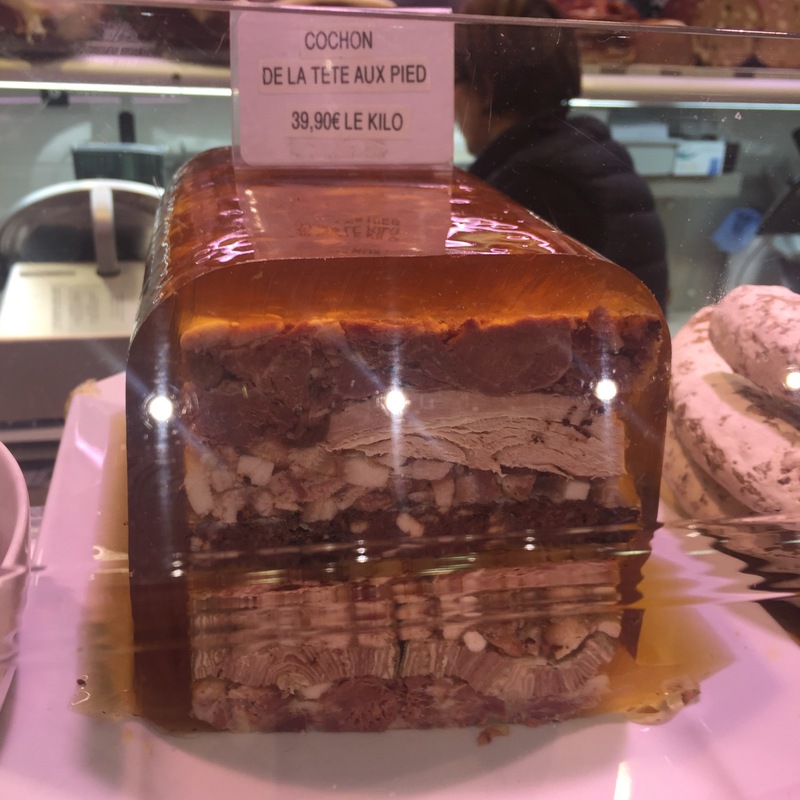 How you know you’re in Paris. 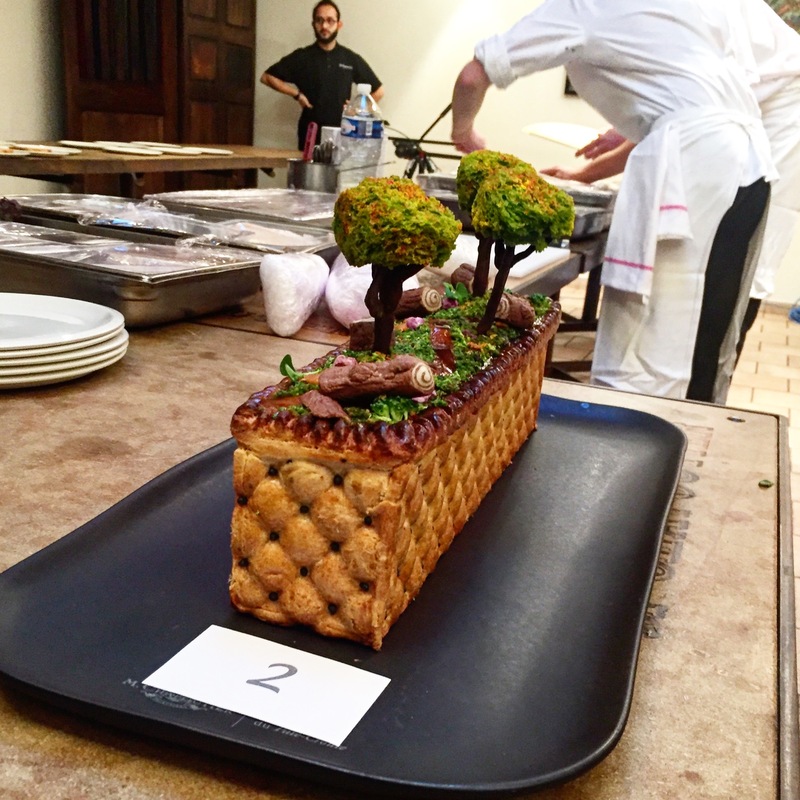 Brian wanted to attend the Pate en Croute world championship in Tain L’Hermitage. 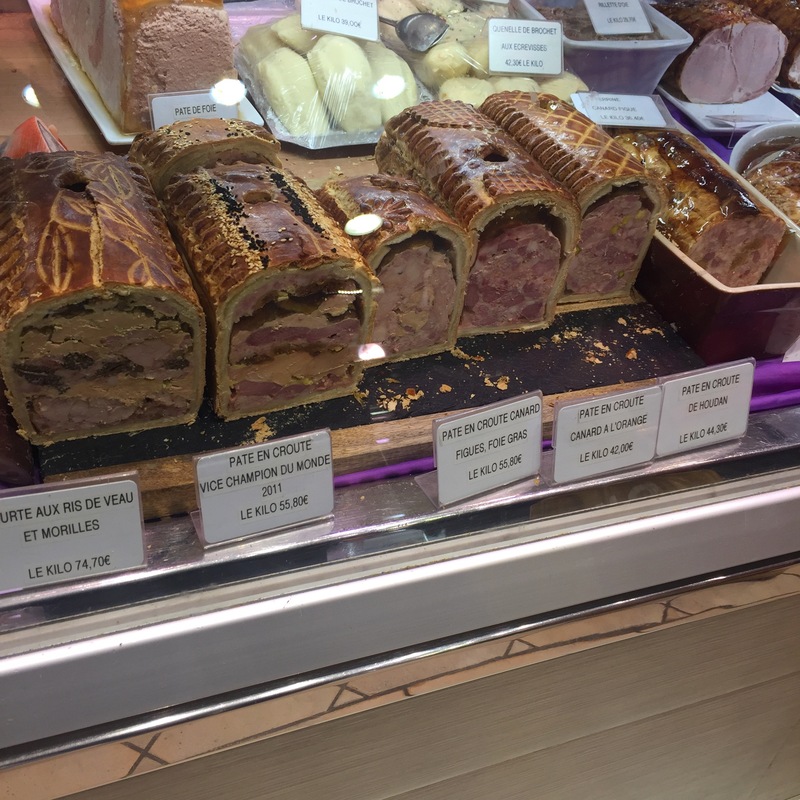 The interior of the pâté. 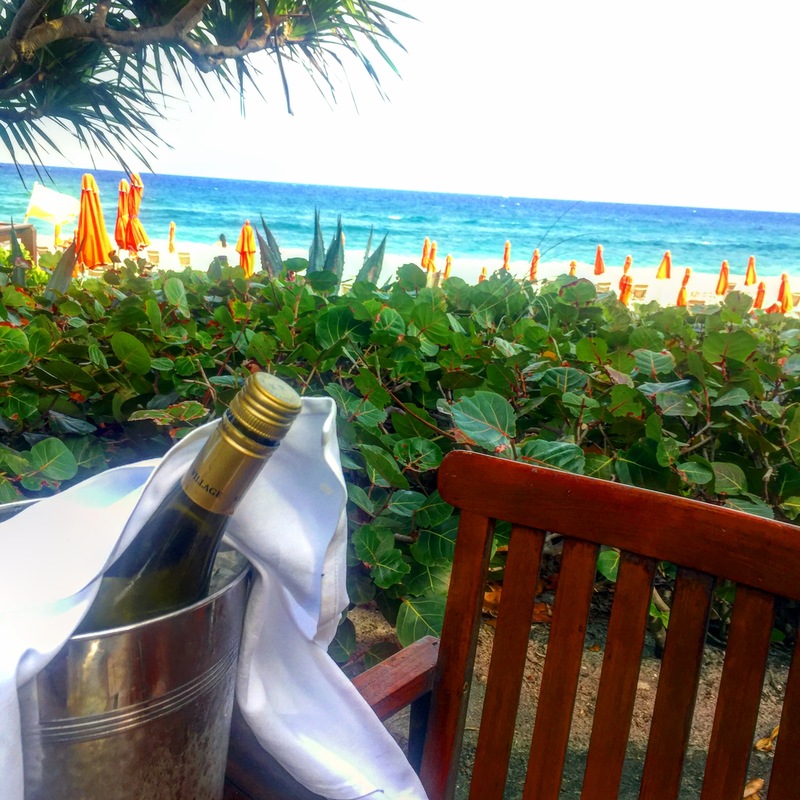 And then home for one day before heading to Palm Beach for the 10th Annual Food and Wine Festival there. Excellent as always. 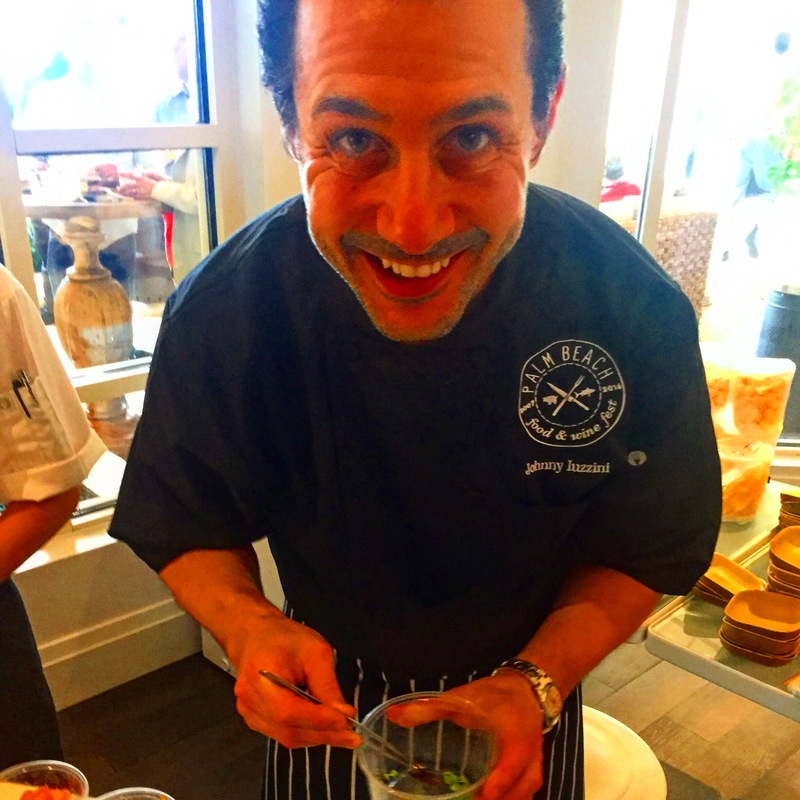 The scariest chef there, Johnny Iuzzini. 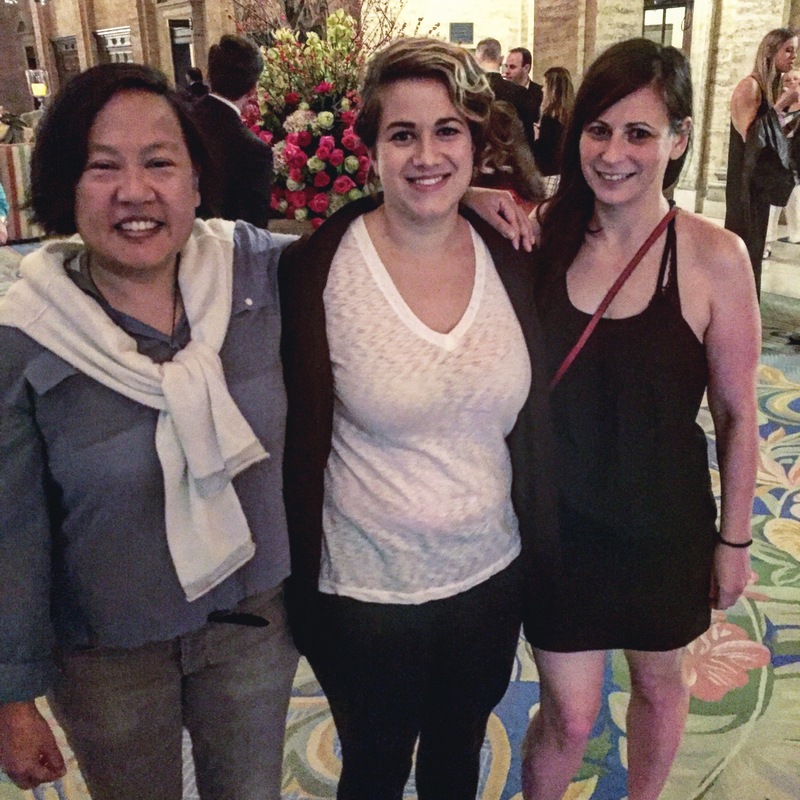 Anita Lo and Mary Attea from the very elegant and lovely restaurant Anissa in Greenwich Village, and Amanda Cohen, chef-owner of the East Village vegetarian restaurant Dirt Candy. 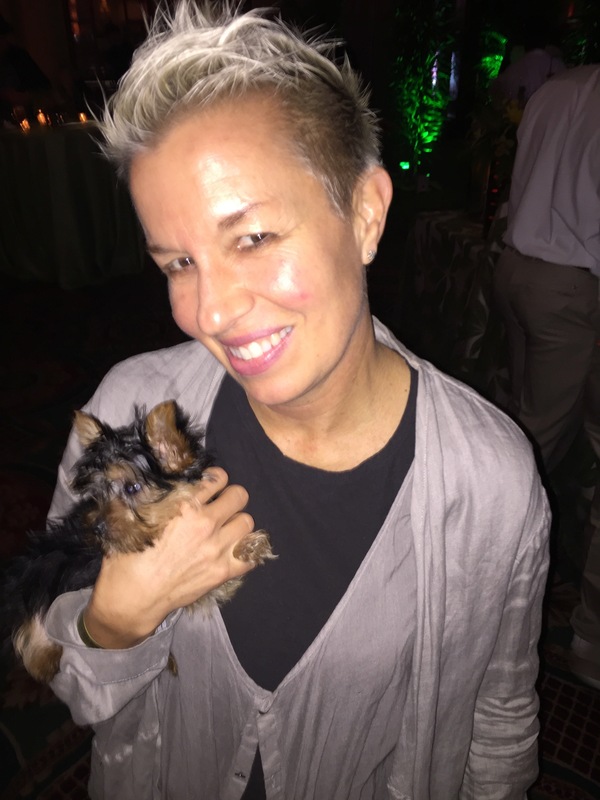 Elizabeth Faulkner, who stole this dog. She’s finishing a memoir I’m eager to read! And now home, back to cooking for one. I was sent this Knasa knife by the company making it via a Kickstarter campaign. It boasts a super hard metal alloy which may keep its edge longer than other kinves. Lovely design, great edge so far, super sharp as promised, and surprisingly light in the grip, which I like. 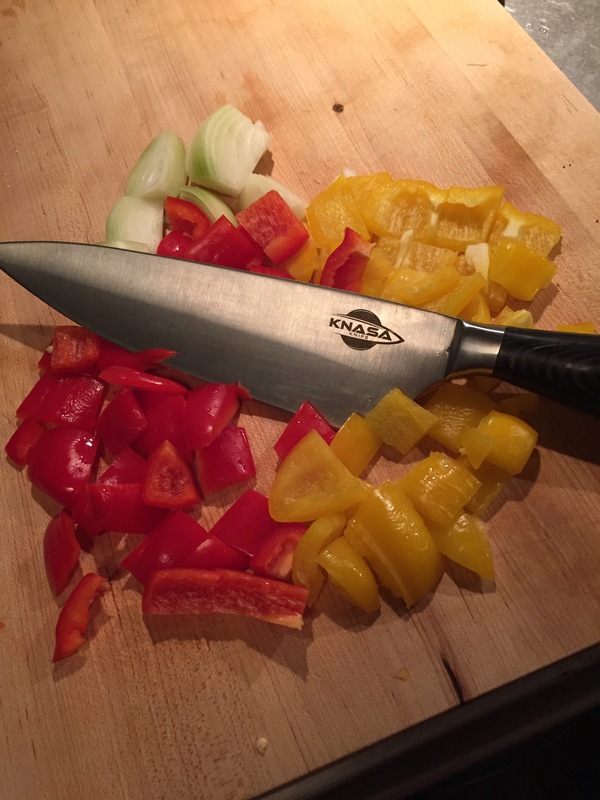 An excellent knife–thanks Knasa! Need to use more to see how edge holds but it’s an excellent knife. Good luck with the kickstarter campaign! If this can help get, and keep, sharp knives in home kitchens I’m all for it! An impromptu pasta with peppers and some leftover kielbasa, happy to be dining alone in my humble digs after all the excitement and travel. © 2016 Michael Ruhlman. All rights reserved. 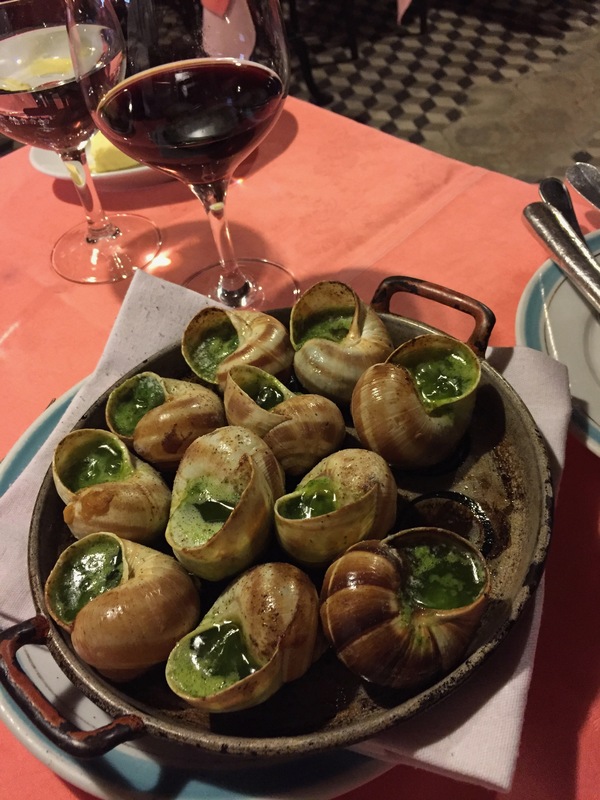 you’re killing me — foie, escargot, and confit. Yes, Italy is always over too soon. Love the knife. What do you think of Nakiri knives? Great post. On an unrelated note, will you be offering your cook book, cooking tool, etc. recommendations for xmas this year? I always look forward to see what you post. Thanks. My girlfriend smuggled some Cinte Sienese prosciutto back from Tuscany (in fact, I just had some tonight). So good, it makes di Parma taste like spam. I can’t read HOUSE w/o getting pissed now. Especially the “argument” chapter!! I was going to comment on the aged Oban eggnog, but this post seems inappropriate and intrusive, I will at a later time. 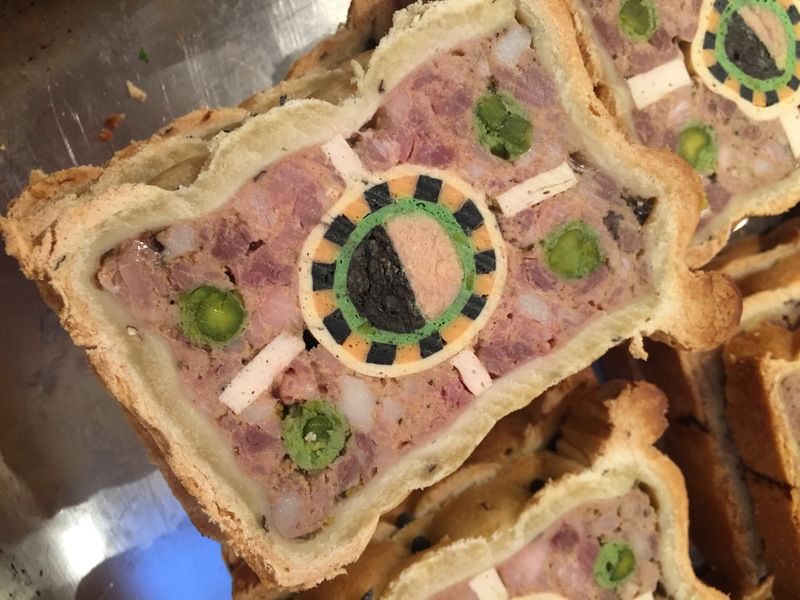 The pate encroute has my full attention, how the hell did they accomplish that? 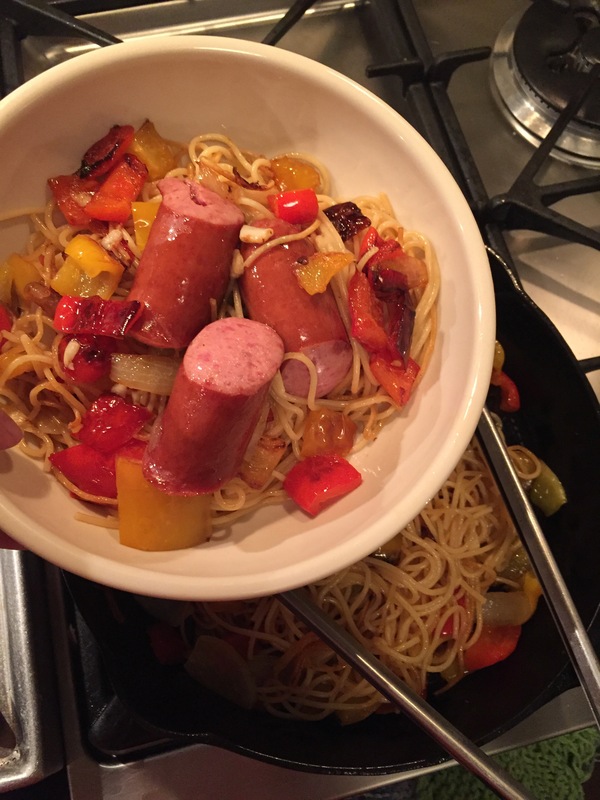 And the last photo reminds me of the joke about serving red wine with red meat, white wine with pasta, & the conundrum when you put hot dogs in your pasta. Then the only solution is a rose. 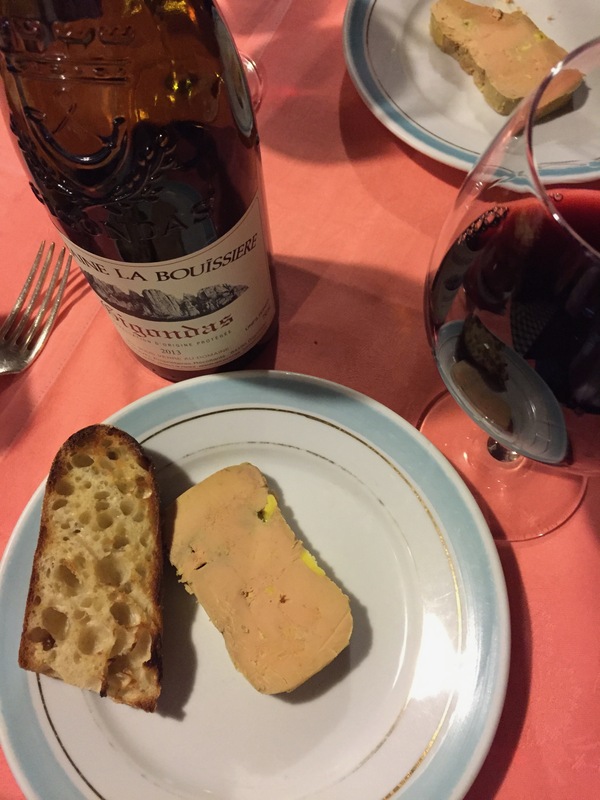 Bistro: I love Gigondas on all occasions, but I’m curious why you chose it with the paté? 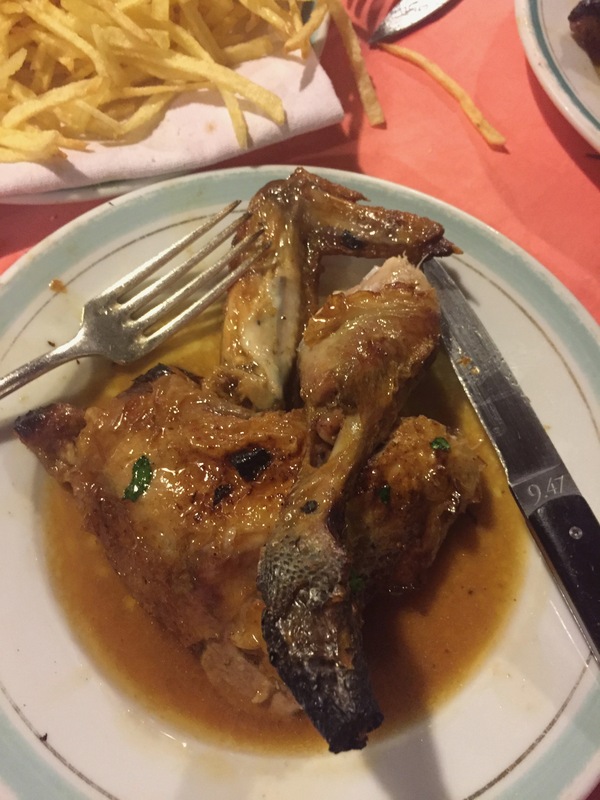 Or, were you thinking ahead to the Bresse chicken? brian ordered! we just went cheap, astonished by the prices.